BMC has officially closed its roster for the 2010 season and promises to be competitive in all the major events. The team also revealed it has signed longtime U23 national team coach Noel Dejonckheere as its European operations manager and assistant sport director. 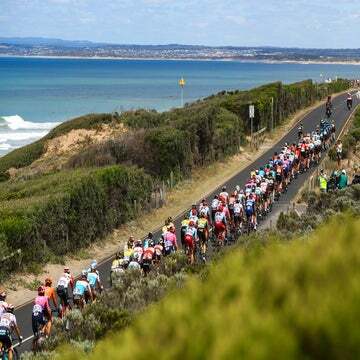 The news comes as the team ─ anchored by reigning world champion Cadel Evans and American veteran George Hincapie ─ is poised to make a major move into the elite ranks of European racing. With the addition of Evans and other experienced European riders such as 2008 world champ Alessandro Ballan, Karsten Kroon and Marcus Burghardt, the team hopes to gain invitations to as many events on the ProTour and historic calendars as possible. The BMC Racing Team has applied for UCI Pro Continental and Wild Card status again for 2010 which will make them eligible for invitations to all of the prestige events they will want to target. Despite its invigorated recruited efforts, the team retains its strong U.S. presence, with 11 riders holding American licenses. In total, there are 23 riders from seven countries and an additional three riders competing at the U23 level. In other news, the team has contracted with experienced hand Dejonckheere to help lead its higher-profile European presence. Dejonckheere helped create the highly successful U-23 program for USA Cycling which helped deliver several current U.S. stars into the men’s elite pro ranks. Riders such as Dave Zabriskie, Tyler Farrar and Tejay Van Garderen all flourished under Dejonckheere’s guidance before making the leap to the pros. “Noel brings a wealth of knowledge to the team from his many diverse experiences through his years in the sport. He joins the rest of our staff who are all skilled professionals in their areas of expertise. 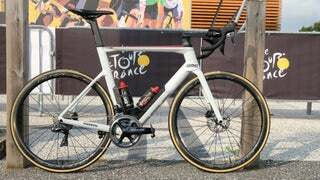 The riders can be assured that they will receive the best support available throughout the year,” team President Jim Ochowicz said in a team release. Dejonckheere joins the squad after spending 10 years with USA Cycling.